Two groups at NASA’s Jet Propulsion Laboratory has been running their pumpkin carving contest since 2011 (which we cover pretty much every year). 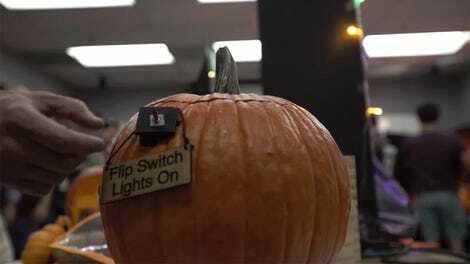 Participants use power tools and machines to make pumpkins spin, expand, and even fly. The lone rule is that they have only an hour to carve the pumpkin—which they must use, somehow. Preparation is allowed beforehand. 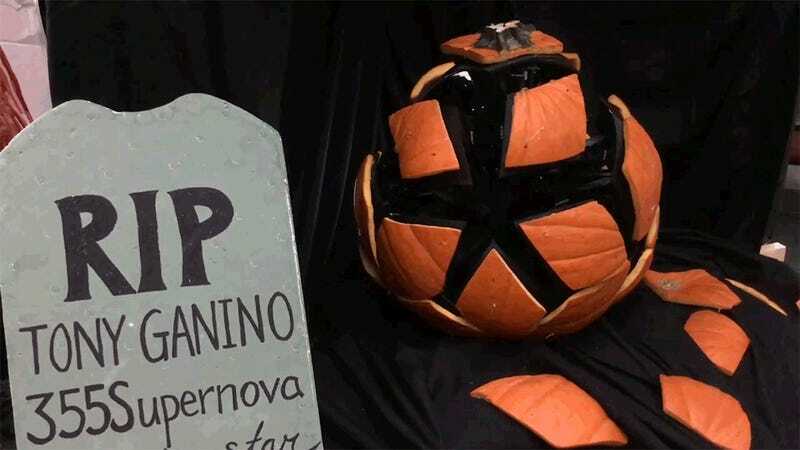 JPL offers some tips for how to carve a pumpkin like they do, like including the guts, adding paint, wiring with lights, and using an Arduino to control the movement. You can see a full list of the participants on the JPL Flickr here. 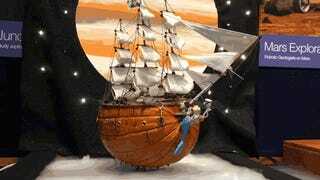 I’ve reached out to JPL to see which pumpkin actually won the contest and will update the post when I hear back.